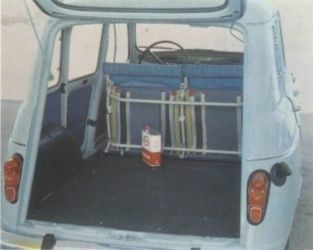 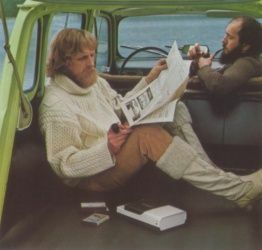 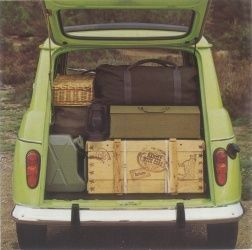 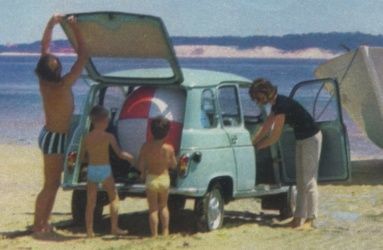 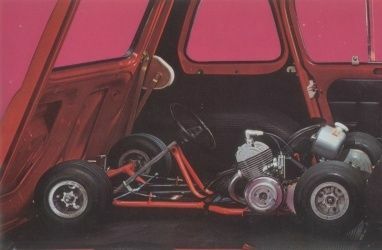 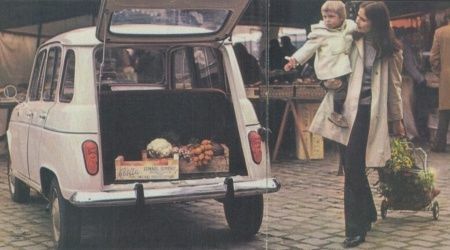 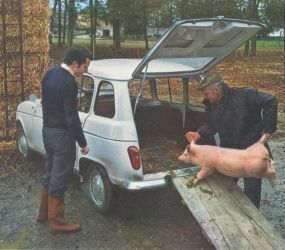 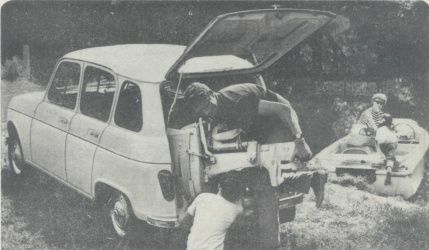 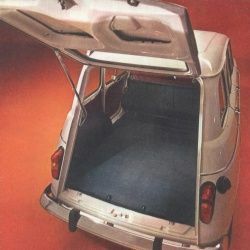 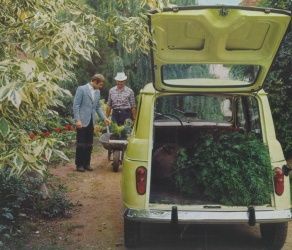 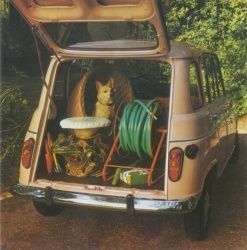 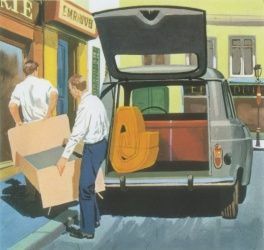 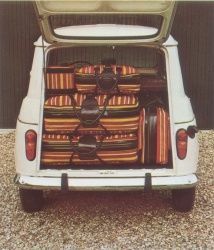 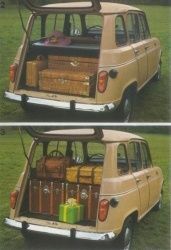 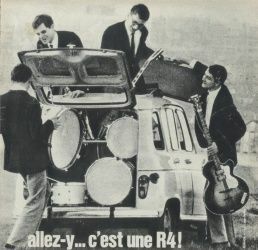 Much emphasis has always been laid on the size of the R4's trunk. 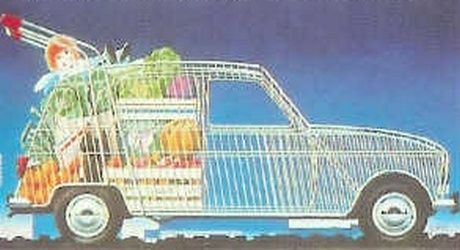 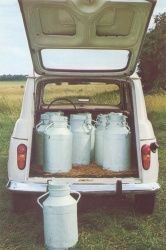 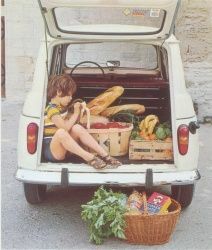 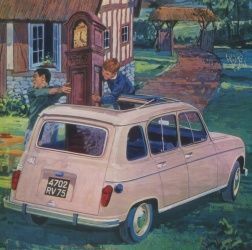 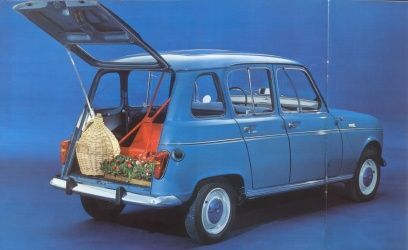 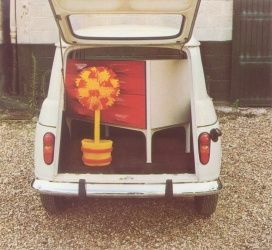 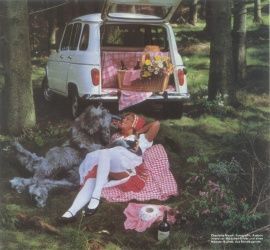 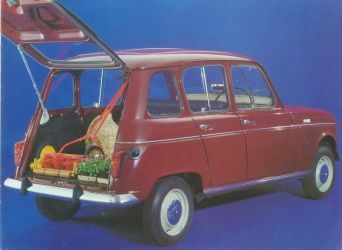 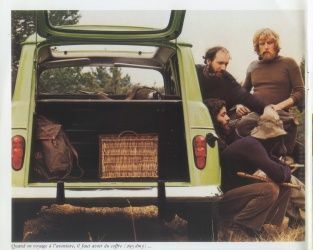 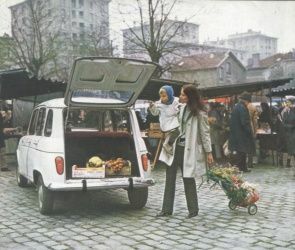 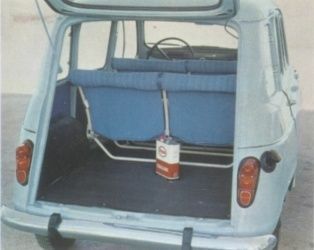 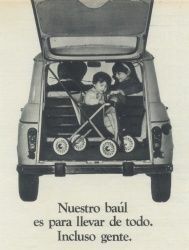 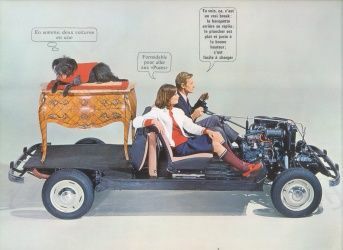 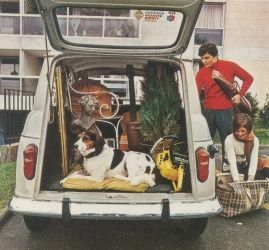 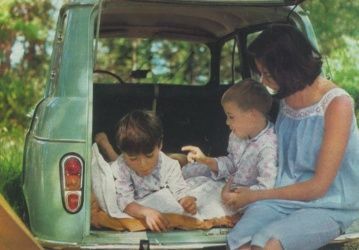 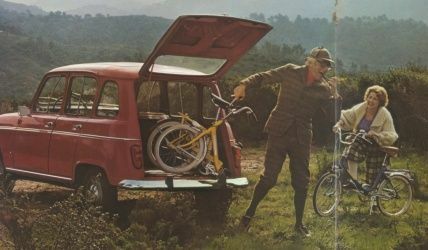 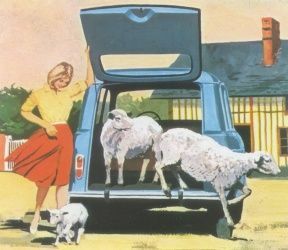 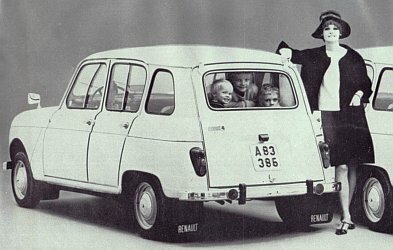 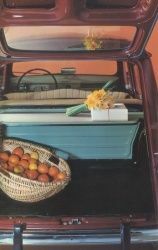 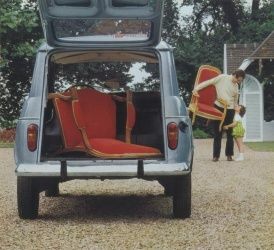 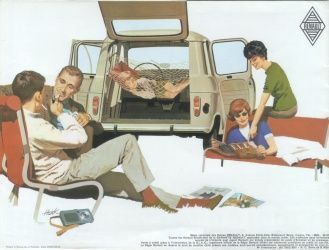 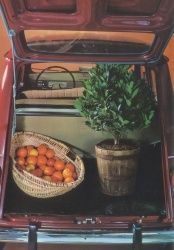 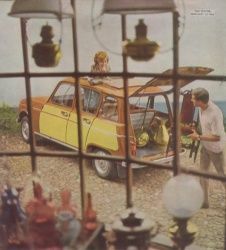 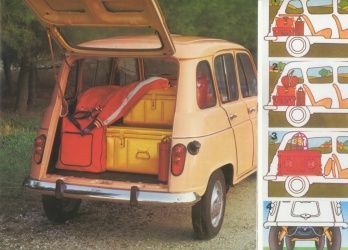 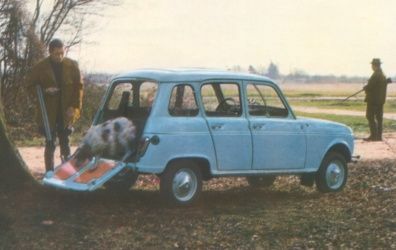 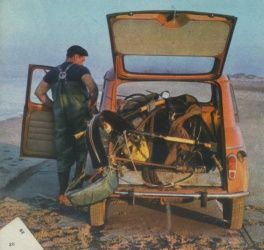 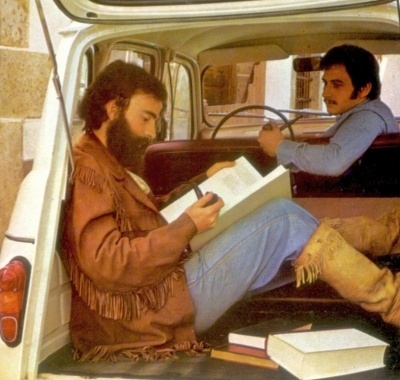 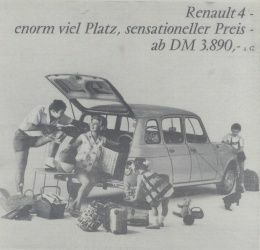 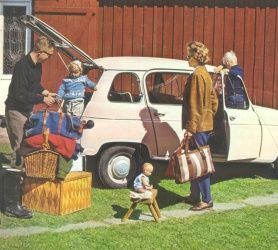 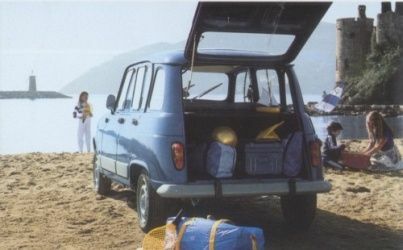 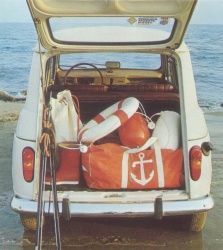 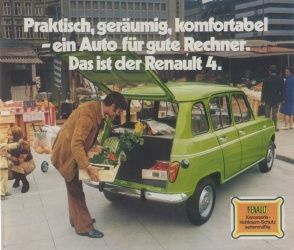 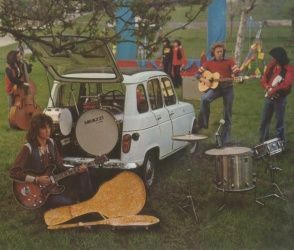 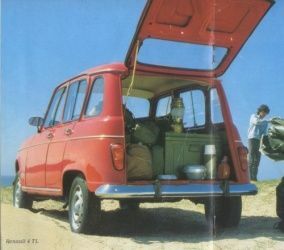 Think about advertisements like Attention: coffre glouton and You can't mistake a Renault 4 for anything else, not to mention the Fourgonnette of course. 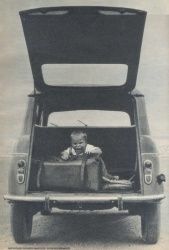 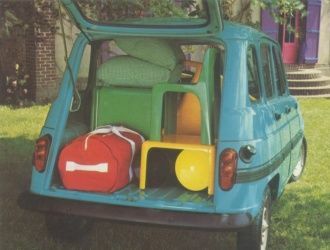 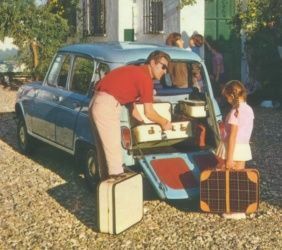 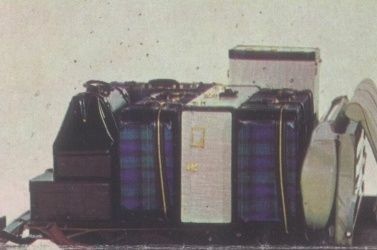 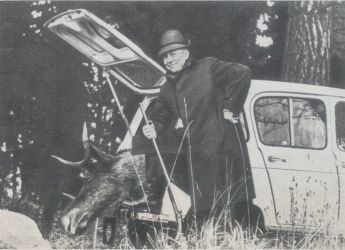 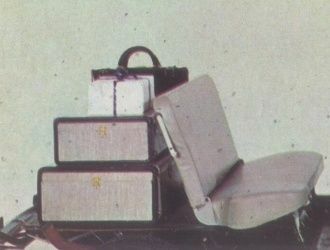 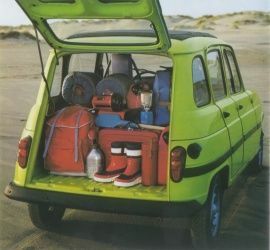 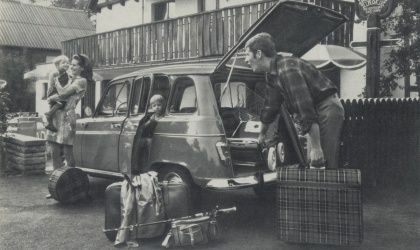 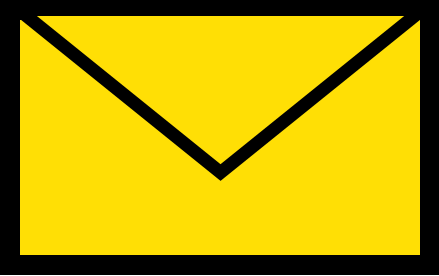 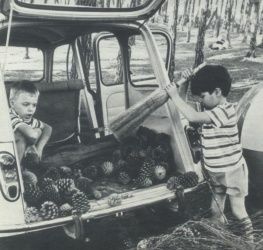 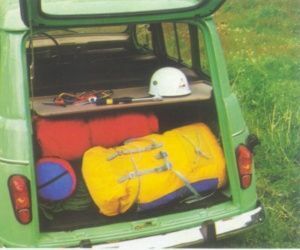 Besides endless amounts of suitcases, items that have featured in the trunk are children, crying children, sheep, mattresses, pineapples, beach balls, more children, rubbish, antique, outboard engine, pigs, dead moose, cans of motor oil, fruit and vegetables, trees, childrens buggys, nothing, lawnmowers, race cars, trees, dogs, cupboards, bread, even more children, milk cans, more race cars, men with beards and pipes, various musical instruments, bicycles, gardening tools, climbing gear, picnic stuff, tractors, and antique chairs and clocks.